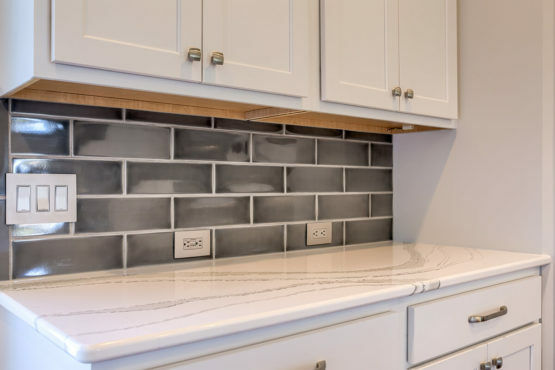 No stones were left unturned in this custom kitchen addition! The center of attention is a beautiful long island, adorned with remarkable and durable Cambria quartz countertops and undermount sink. 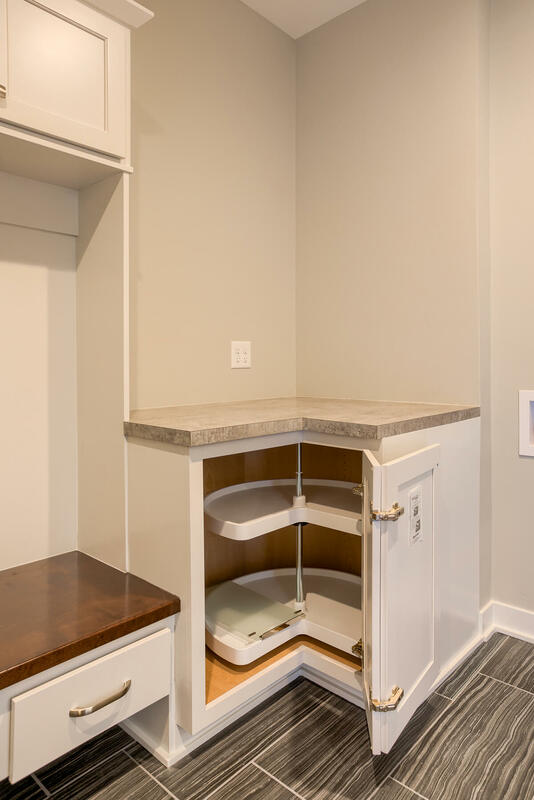 The dishwasher and pullout trash located in the island offer convenience and ease. 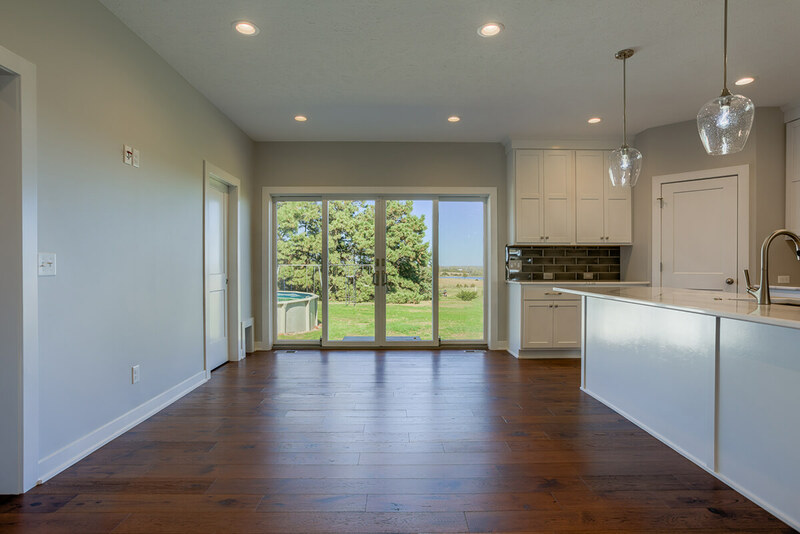 Gorgeous views can be seen from the kitchen and dining thanks to an extra wide sliding glass door. 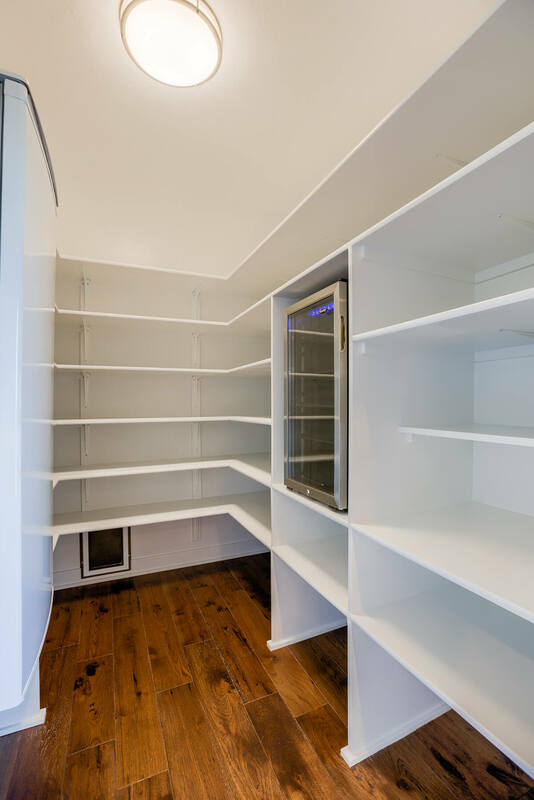 Storage is definitely not lacking here. 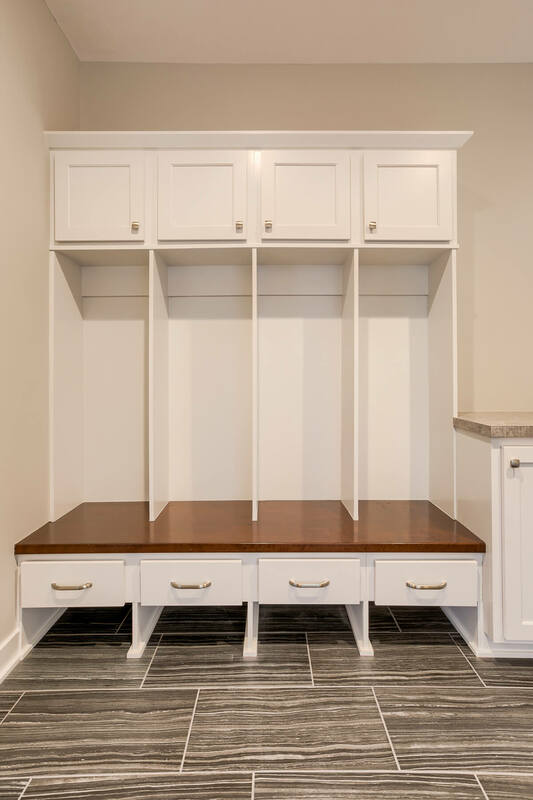 On top of the additional custom cabinetry, these homeowners opted to add not one, but two walk-in pantries! 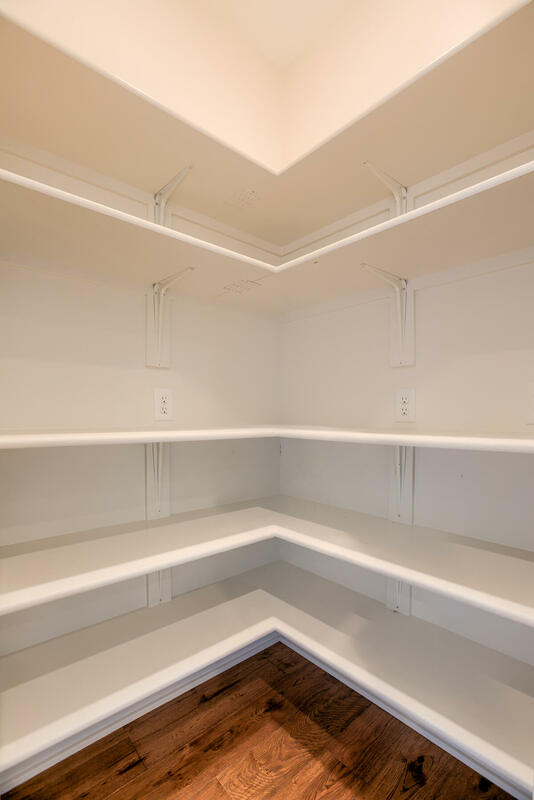 One of these pantries is even equipped with an additional standing freezer and beverage fridge. 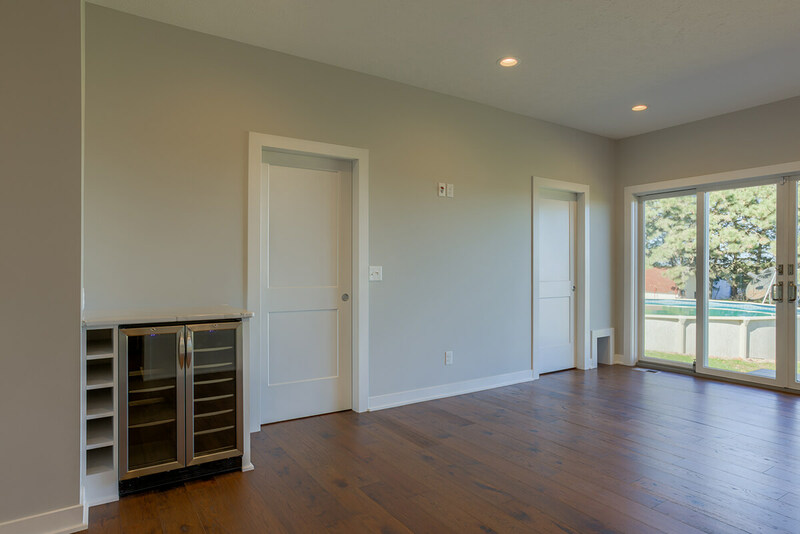 Even the dog was taken into consideration in this design with a special dog door created next to the pantry. 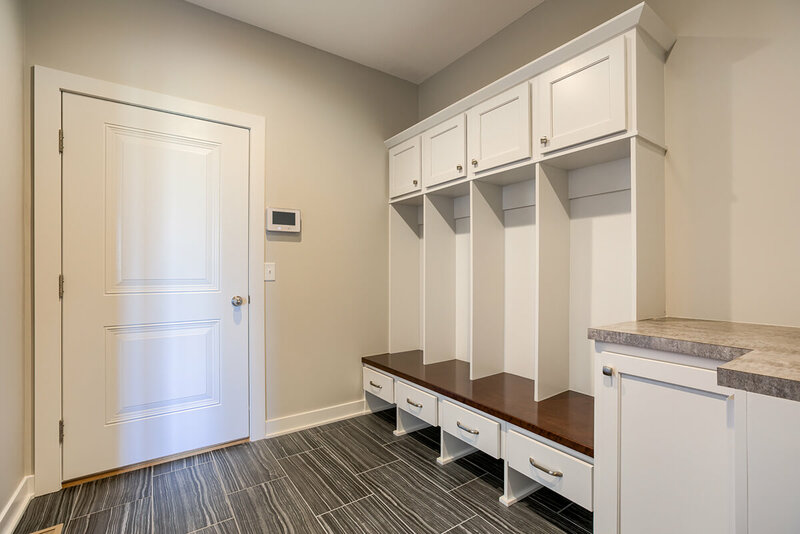 More storage is offered in the mudroom with Lockers and a drop zone with lazy susan. 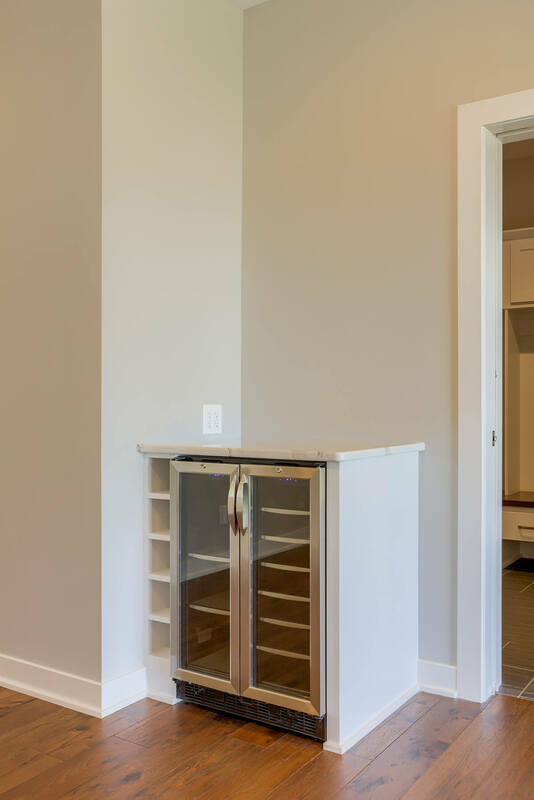 Just outside the mudroom is a mini bar complete with a wine fridge. 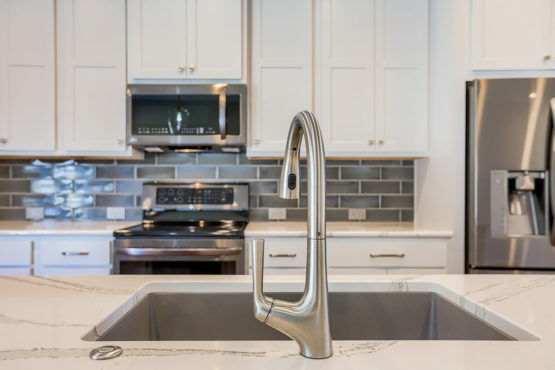 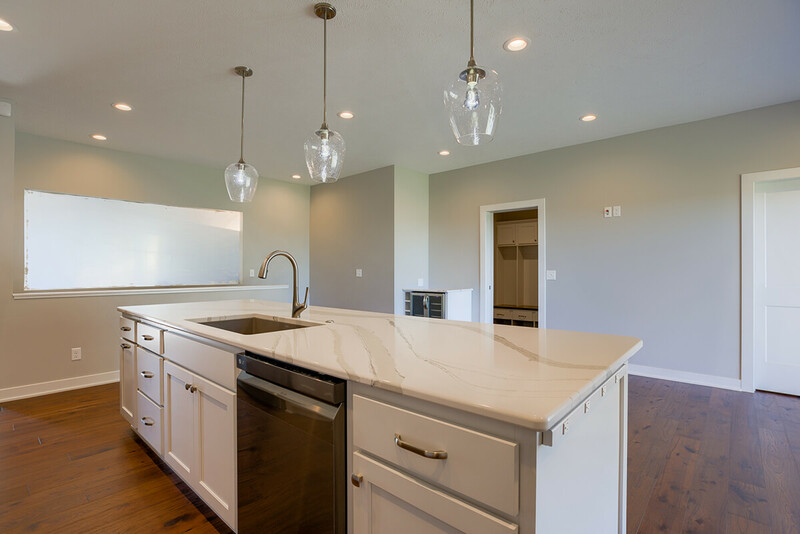 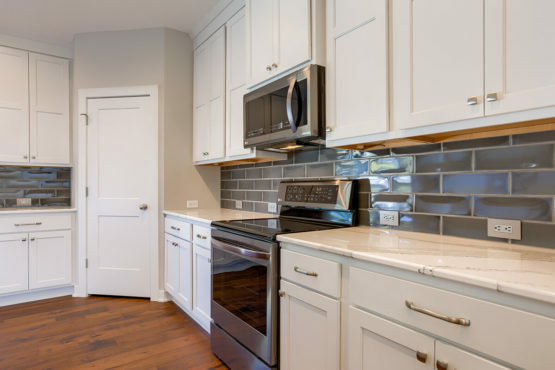 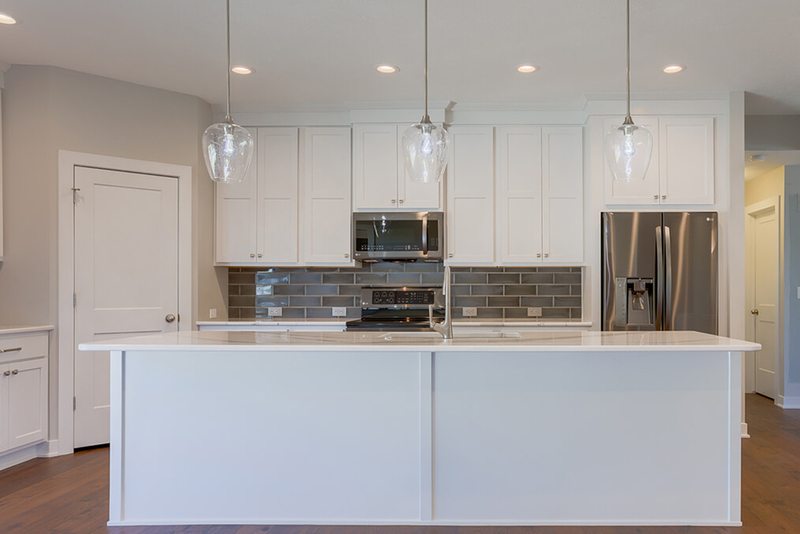 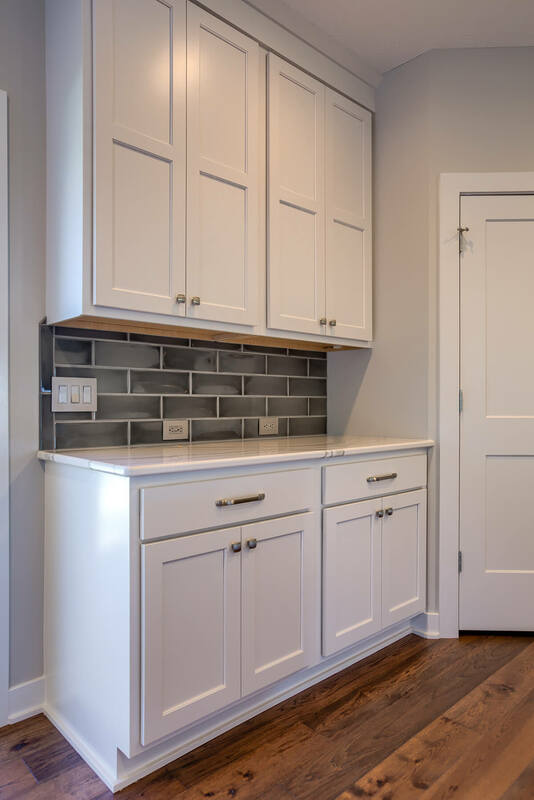 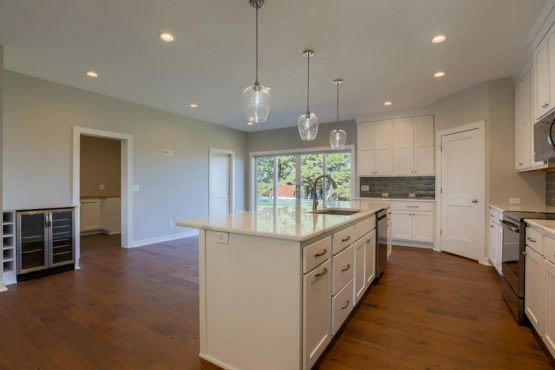 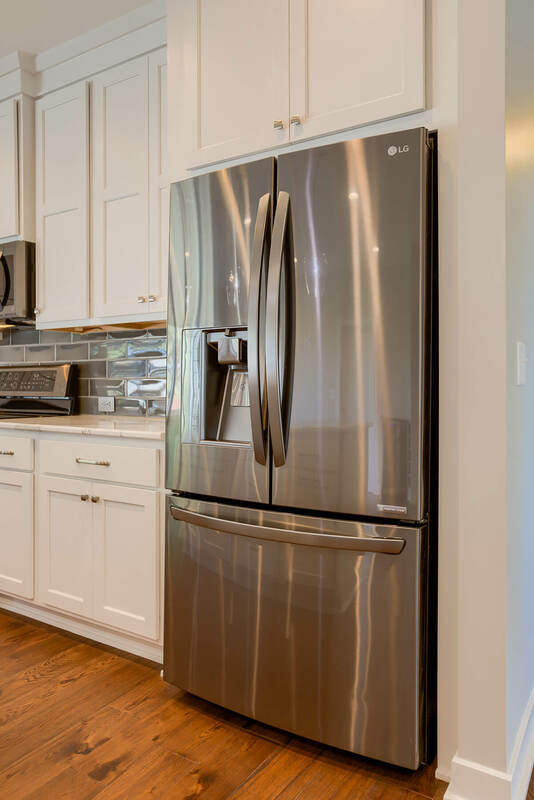 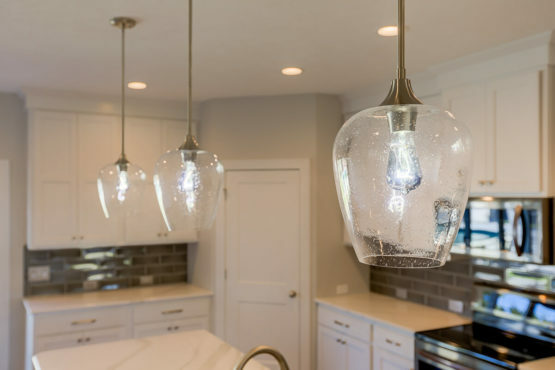 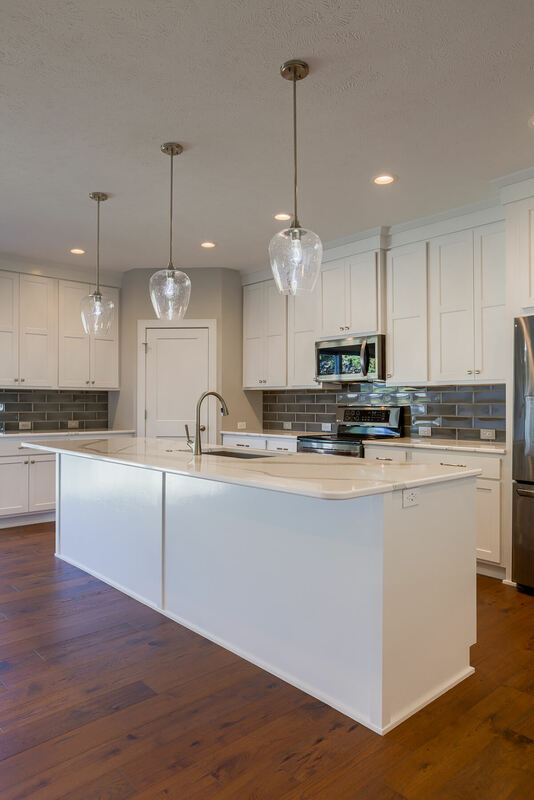 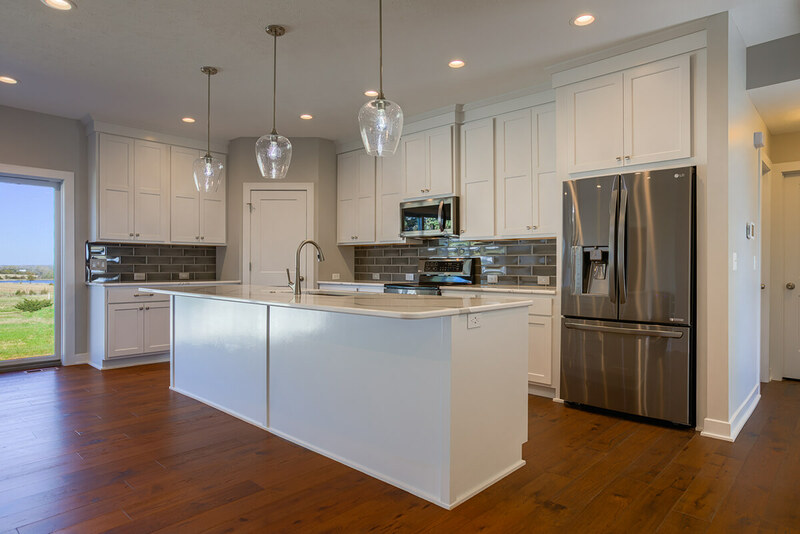 This is definitely a must see kitchen, be sure you check it out in the 2019 Tour of Remodeled Homes!